With more than 10 years of multimedia experience, Archos is well known for the rock solid multimedia playing feature on their devices. 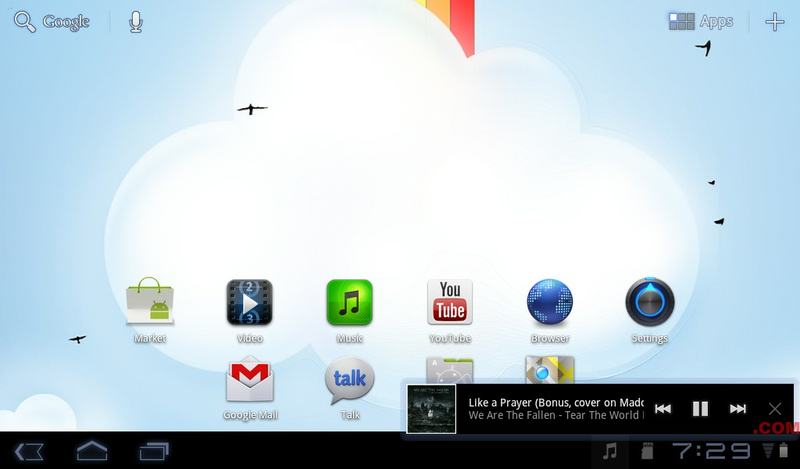 Their skin above Android is called AVOS which provides some custom apps, custom widgets and some extra functionality. We will look into it further in this part of the review. 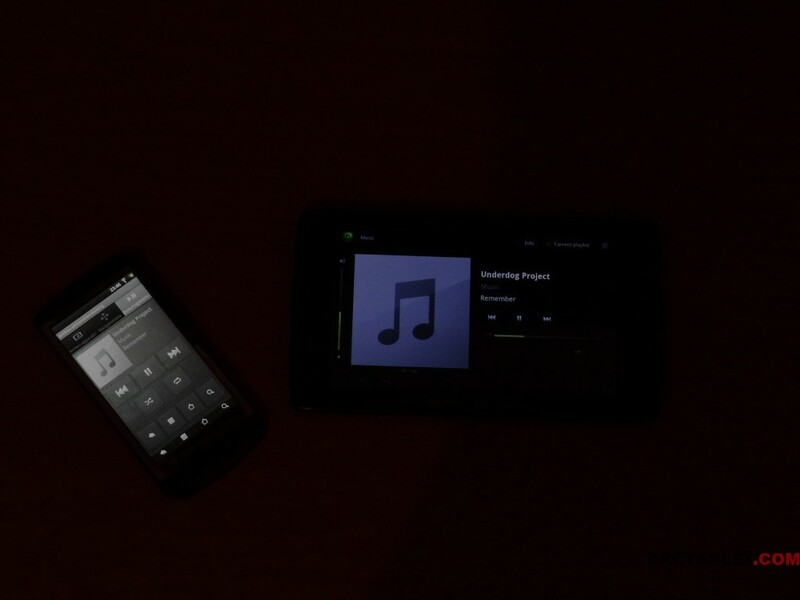 This review is based on firmware 3.2.80, Android 3.2 “Honeycomb”. Honeycomb was made for tablets. We found that the interface works reasonably well on 7″ inch screen, but sometimes the information displayed was a bit smallish. For example, in the email app it would be better if a new email would open in a completely new window, without the list with emails on the left part of the screen. It does so on ICS, but 70b IT is probably not going to be updated to Android 4.0 ICS (at least, according to Craig from Archos North America). Still, most of the times it works great. The interface is clearly made for tablets. The application works as advertised, it played all the music files we have thrown to it. When you have many songs, it is handy to know that you can scroll using the scrollbar to the right of the screen. Compared to the Gen8, it is smoother on the 70b IT. Also(for those who bother) the recognition of the music files with cyrillic letters has improved. The only downsides are the lack of equalizer (there are plenty of them in the Google Play Store) and that the music player doesn’t download album covers automatically. 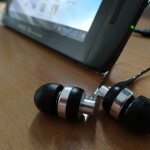 However, the last feature is currently present only on the desktop computers(for example, in the Zune software) and I don’t know any Android device that can do it. So, actually, the music app is just amazing and you shouldn’t be complaining. Archos video player application is nicely done, it helps to sort your video archive by getting the movies information (title, director, actors and poster) from the Internet based on the file name. Our quick tests gave good results, even for episodes in TV Series. The performance is the same as on the Gen8 devices. There is no support for any 1080p videos, 720p files with high profiles didn’t work and there is also no support for .m3u8 streams. It is put off by reasonably bad video decoding capabilities of OMAP3630 processor, but in many cases it is still better than popular Tegra 250 tablets. This “Search info online” feature is demonstrated on on our previous article regarding the media scraper feature in the Gen8 devices and we will also show it in part 5 of our review. Please note that for playing AC3, .vob and .ts files you will need to buy a cinema plug-in which is available for 10EUR on Archos website. There is no support for split codecs, contrary to the Archos Gen9 tablets. You can see more of the multimedia features of the 70bIT in our earlier G9 video. Please note that the viewing angles will be different, 70b IT will also not play 1080p video and HDMI output is different. We will talk about HDMI output later in this part of the review. If you have some particular files to submit for a test, please use the comments section below. The file browser is absolutely amazing. It can even open and compress .zip files! You can of course view your stored files, copy them, share them or just delete them. It can connect to your home network and view/play files from there. When you connect an storage device via the micro USB port and/or via the microSD slot, it will also show in the files app. Actually, on many other devices you have to pay a lot of money to get something not even close to what Archos offers for free. During the start-up wizard, Archos gives you the choice whether you do or don’t want to install the 3rd party applications. 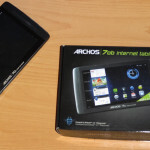 It is really nice Archos gives us that choice, we can start with nearly stock Android. Not all Android applications work on Honeycomb, but most do, we will come back to it in part 5 of our review. 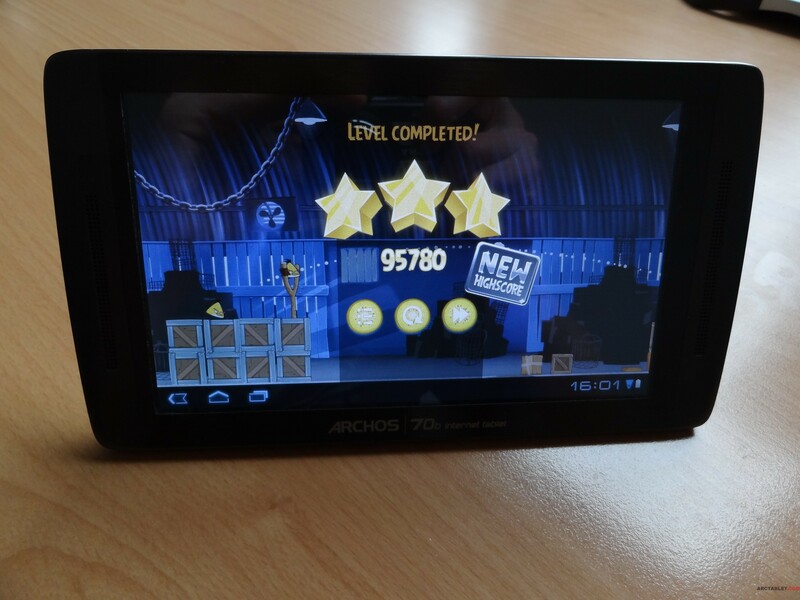 Archos developed its own task killer in which you can also easily uninstall applications. Archos apps are not removable. HDMI output and Archos Remote Control. Unfortunately, Archos didn’t upgrade the HDMI output, so it still can’t mirror the image. They also decided to cut out the scrollbars when you are in touchpad mode which were present on the Gen8 devices. 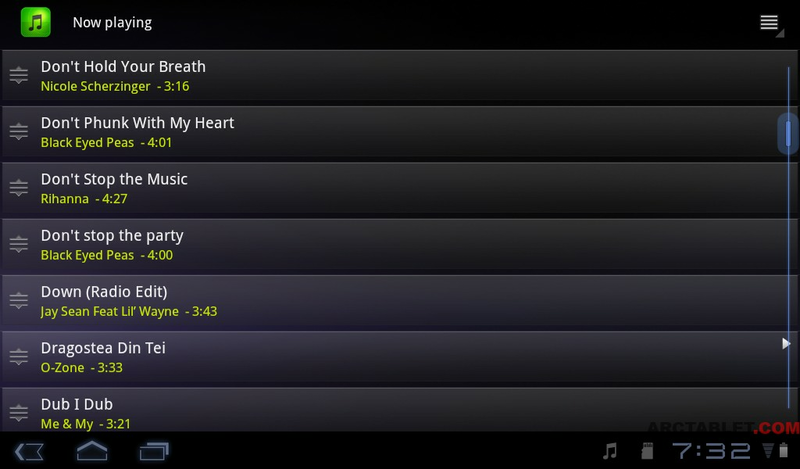 However, with Archos Remote app for any Android device running Android 1.6 or higher, you can solve the issues. 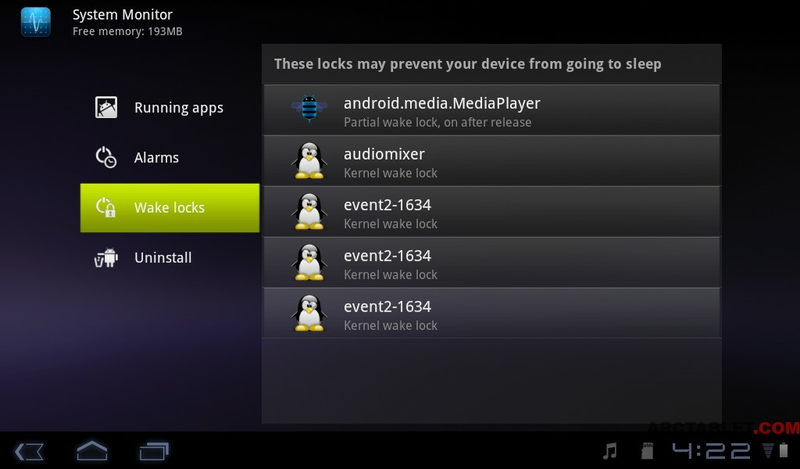 You can just connect your Archos with a short cable to your TV and then, from a sofa, control it. Another option is using a mouse via usb OTG or bluetooth. 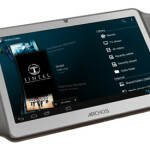 We didn’t test all the features Archos added to Android. You can use LAN cable to access the internet via micro USB port, or just connect your camera or HDD (some HDDs require additional power). 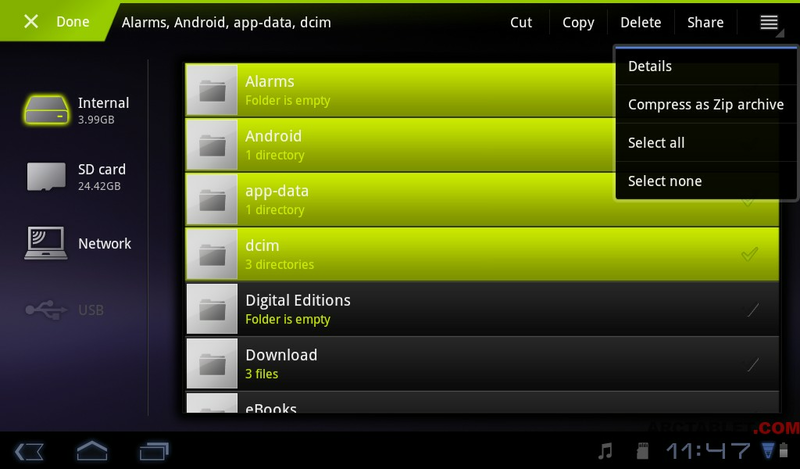 There is a possibility for DLNA streaming from the tablet itself and you can also connect to SMB or Upnp networks. You can connect an external keyboard via microUSB port or bluetooth, we would like to mention that you won’t get the stock Android keyboard on the touchscreen, but you will still be able to change the language in the taskbar.